I made these hockey skate cookies for my son and his hockey team. I asked CopperGifts.com if they would please add 2 wheels to their roller skate cookie cutter for me and they did one better and made a whole new rollerblade cookie cutter! Yay! 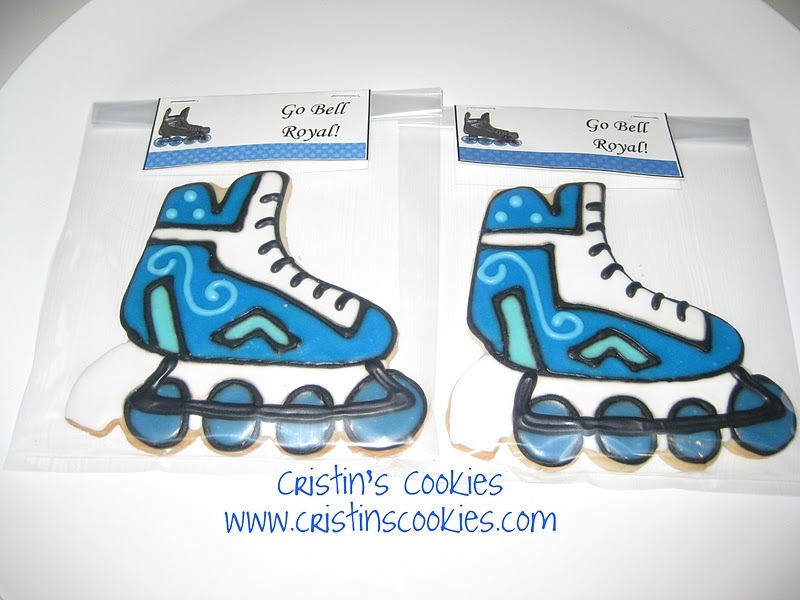 You can order your very own rollerblade/inline skate by clicking here. It is a nice large cookie cutter and very stable. I'm super happy with it! We missed hockey during the summer when my son was working full time. Now that school is in session, he is on a new team with many of his friends and some new guys too. When they were sitting in their dressing room after the game last weekend, they were trying to get to know each other and one of the guys said "well you definitely want Nick on your team, his mom makes the best cookies". Cute huh! I usually just make cookies for the play-off game, but with my new cookie cutter, I was very excited to try these out. Love the new cutter and the cool skates you decorated! So cute that comment from the team member about your cookies. 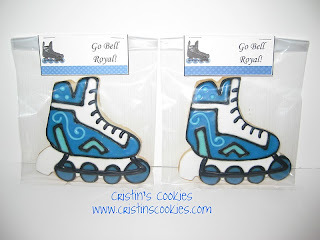 My nephew will be celebrating his birthday next month and he wants a hockey themed party. 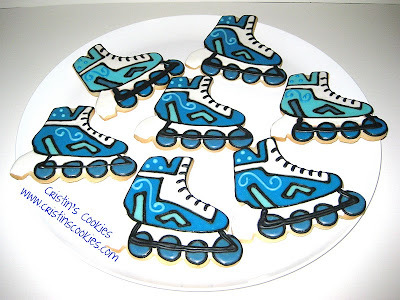 I think I'll be baking hockey themed cookies very soon too. P.S. 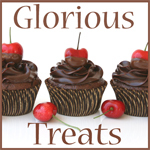 Love your new blog look. 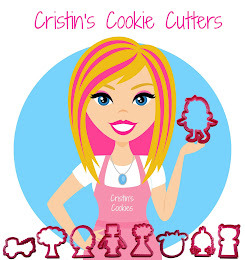 You did a great job with these cookies. What boy would not be thrilled with them? Girls might prefer pink but what do I know? Would you link this to Bake with Bizzy. They are so cute. They will make a hit.